In the past, younger couples were more likely to divorce, with older, longer-married couples staying married forever. Times are changing and that is no longer the case. With gray divorces on the rise, divorce among millennials is seeing new lows. What is causing this trend? People are waiting longer to get married. In the past, couples rushed to get married soon after college. Now, many are choosing to focus on getting rid of student loan debt and establishing careers. Women are excelling in their careers and no longer need to find a man to take care of them financially. People are also being more experimental with relationships. Playing the field and having multiple relationships is no longer a stigma. As a result, marriage is no longer an end game for many couples. Because of these reasons, marriage is being put on the back burner. People are taking their time to find “the one,” and this in turn is causing the average age of marriage to rise. In the 1950s, the average age was 20. Today, it is 27.4 for women and 29.5 for men. According to a study by the University of Maryland, the divorce rate among women has fallen over the past 30 years. Between 2008 and 2016, the divorce rate decreased by 18 percent. During that same time, the average age of divorced woman rose to 52.3 years old, up from 49.9. The average amount of time married was just over 24 years, suggesting a rise in gray divorces—divorces that occur after age 50. 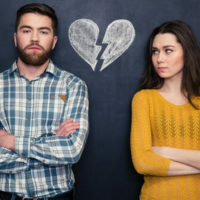 As seen from these statistics, divorce is much more common among older women than younger women, reversing the trend that once saw young couples divorcing at high rates. It is also expected that divorce rates will continue to fall over time, given various factors involved. More couples are foregoing marriage altogether and instead deciding to cohabitate rather than say “I do.” In fact, 18 million single people in the United States live with their partners. This is a 29 percent increase since 2007. Another reason why people are delaying marriage is that women are given more opportunities than ever before. Unlike several decades ago, they can now survive on their own without a man. Couples who do enter marriage do so with more education and money, so they are in a better position to succeed and avoid the perils of divorce. They also tend to be age 25 or older and without children. Even though divorce rates are dropping among millennials, divorce is still a common occurrence. Nobody is immune—even those married several decades or longer. A divorce can happen to someone of any age and length of marriage, so it’s best to protect yourself. In some cases, no matter how hard you try, the marriage never gets better. Life’s too short to be miserable. If you are ready to end your marriage, the Dade City family law attorneys at Mander Law Group can assess your situation and help you achieve the best outcome. Schedule an initial consultation by calling our office today at (800) 557-0411.